On medium low, heat 2 tbsp olive oil in large skillet. 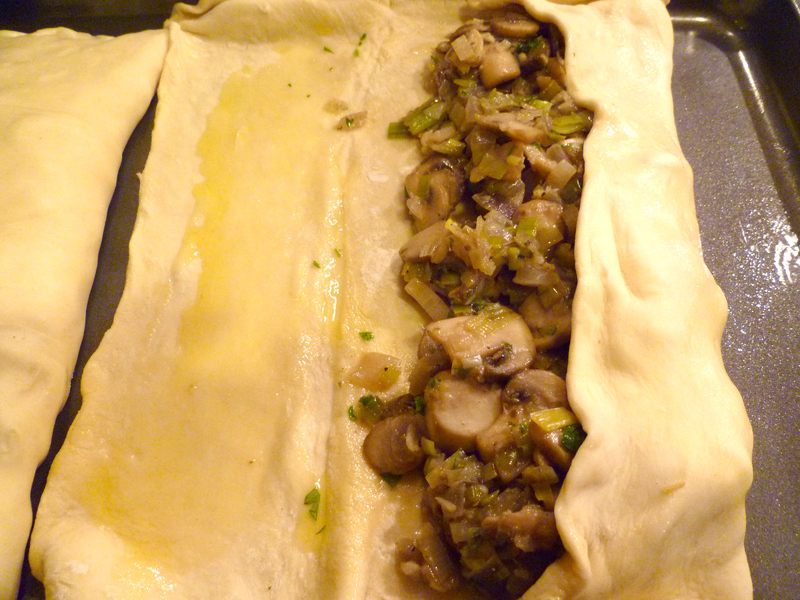 Add in leeks and onions and saute for about 7-10 minutes or until tender and translucent. Add in mushrooms, garlic, additional 1 tbsp olive oil and the rest of the spices and saute for about 7-10 minutes or until mushrooms are tender. Taste for salt and pepper to ensure seasoned to your likeness. 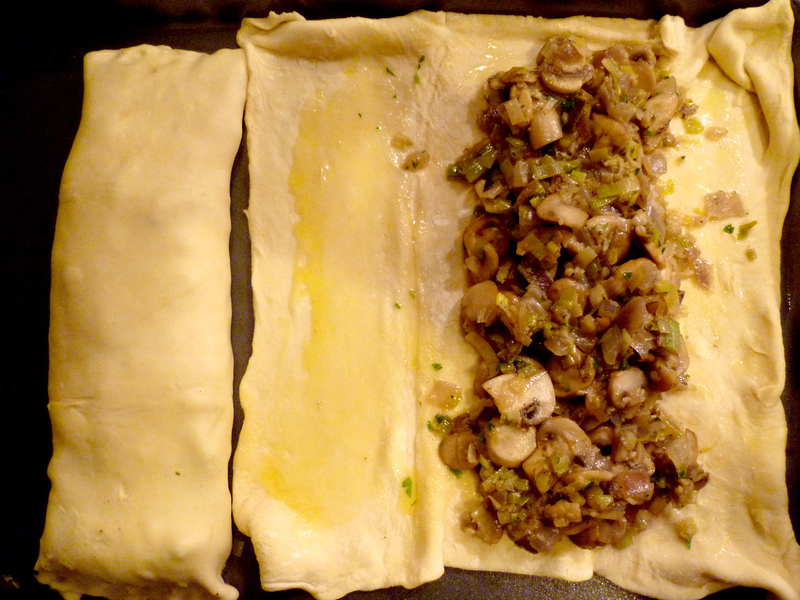 Place baking sheet with strudels in the oven for about 30-35 minutes or until pastry dough is golden brown. 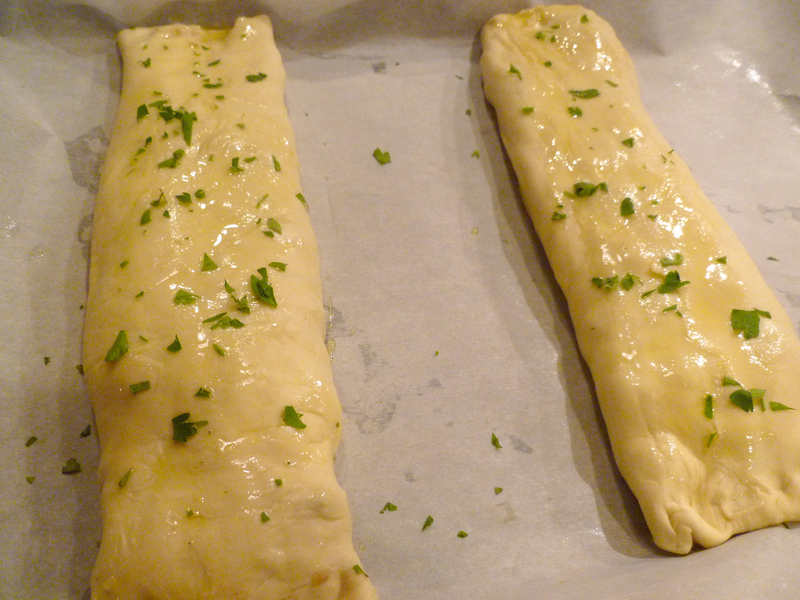 Remove from oven and cool about 10 minutes. Slice with a serrated bread knife. 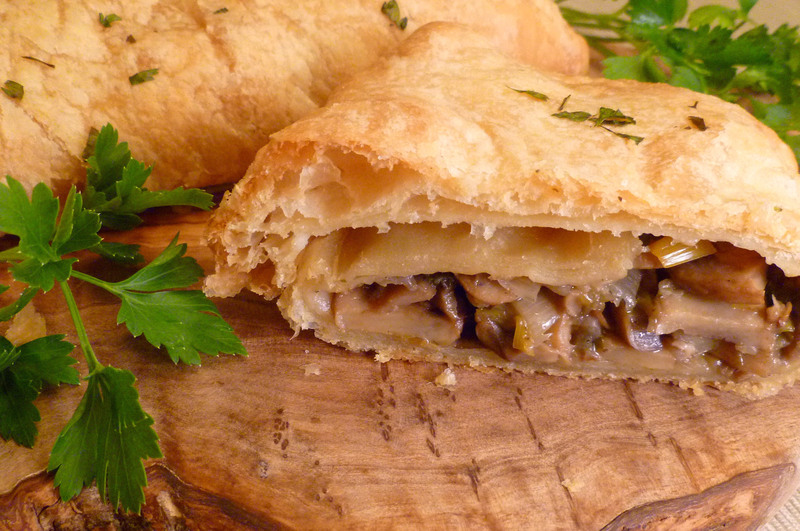 Thank You so much, Alise for doing this vegetarian website. I appreciate the recipes and all the new ones. It’s been such a good reference for me. I’ve fries several and so far LOVED them all. Well I learned from the best, eh?